Summer days resonate with the sound of cicadas trying to make a love connection. But like a lot of singles, male cicadas don't always attract the kind of mates they're hoping for. Cicada calls, it turns out, attract not just female cicadas, but sarcophagid flies in the mood for love, according to a study by Brian J. Stucky, a post-doctoral researcher at the Florida Museum of Natural History at the University of Florida. Here's where it gets weird. The love song also attracts pregnant sarcophagid flies looking to deposit maggots that burrow into the cicada and feed on its insides until they eat their way out. The cicada, as you might expect, does not survive. Previous studies have found that female parasitic flies sometimes use sound to find their hosts, but Stucky was surprised to find that both female and male flies were attracted to cicada calls. He investigated the role sound played by broadcasting cicada calls, then observing flies arriving and hanging out. Some of the female arrivals were pregnant, but many were not, so finding a host for their larvae was not the only goal. Indeed, males and females both demonstrated they had procreation in mind. 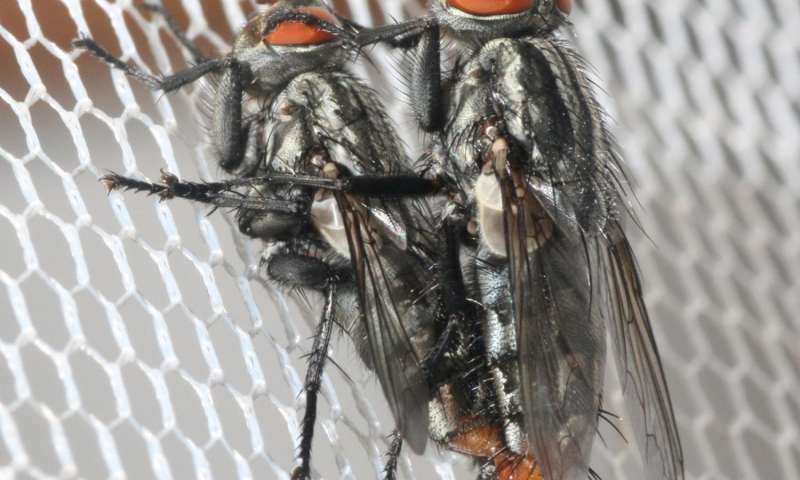 Males repeatedly attempted to mate with other arriving flies, including other males, and some managed to do so with females. 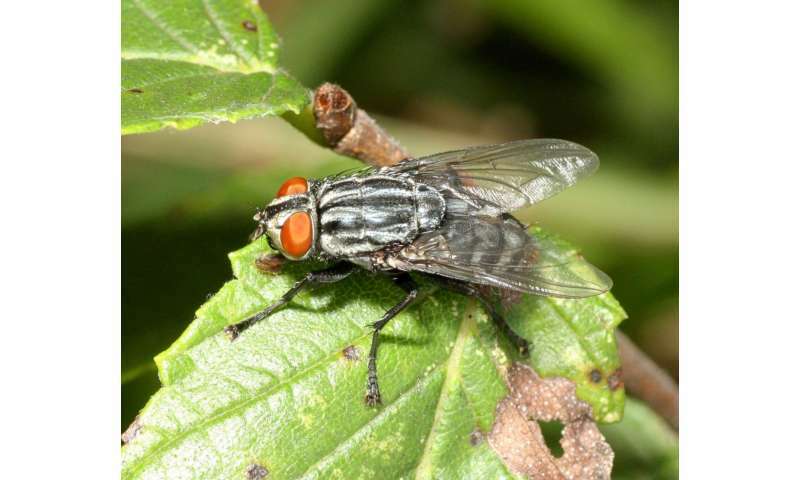 Stucky reaffirmed his observations by catching and counting flies that responded to the cicada calls in three different traps, with varying durations and volumes of the cicada signals. All told, he captured 110 flies, about 75 percent of which were females, including several that were not carrying larvae and thus not looking for a host. He reasoned that the flies had come to mate when they heard and flew to the cicada sound. Otherwise, the trip would have been an unproductive waste of time and energy. The study suggests that hearing plays a more complicated role in insects than researchers might have thought, Stucky said. "Hearing may have originated as a means of finding a host but has become useful in another way as well."